advantage over most other investors. And he doesn’t even know it! Many years ago, I saw a study which concluded that some 90% of all millionaires in the United States were millionaires, thanks to their ownership of real estate. My guess is that the majority of these millionaires are like a couple I know in Sydney. When they got married in 1972, they bought a house which cost around $100,000. At that time, it was a very expensive property and they could only afford to buy it because their parents helped with the deposit. They lived in this house for 28 years, until 2000 when they divorced. As part of the settlement, they sold the house and split the money. The result: they were both millionaires — and they did nothing more adventurous than buy a house and live in it for most of their lives! 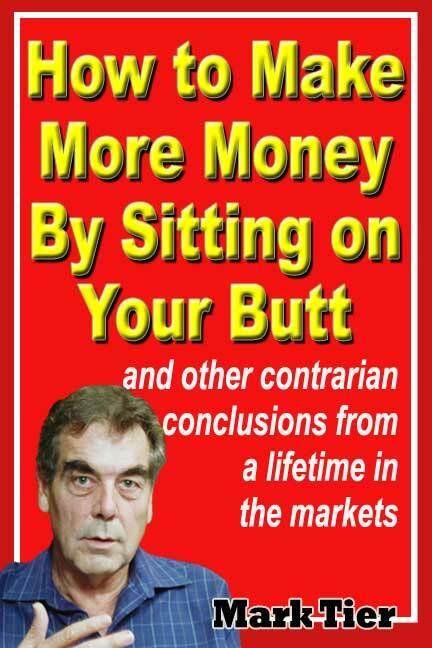 The fact that you can buy something, sit on it, and with your fanny make a fortune is certainly one reason why there are probably more people who invest in real estate than stocks, commodities, or anything else. Indeed, if you took a poll I’m sure you’d find that the majority of people think that real estate is the best investment of all. The most commonly given reasons would be factors like inflation, tax advantages, population growth, rising wealth, and scarcity of land (especially in prime locations). All good reasons. But if you’re familiar with Warren Buffett’s style of investing, you’ll immediately see that you could just as easily apply most of those reasons to the kinds of investments he prefers to make. I believe that there is a deeper, more fundamental reason why there are so many real estate millionaires. But first, let’s quickly survey the generally-accepted reasons I listed above. Tax Advantages. In many countries real estate investments receive special tax treatment. The most common ones are lower capital gains tax (in some circumstances, even zero) and the ability to deduct mortgage interest from your income tax. As a result, you can compound your money pre-tax. Thanks to the easy availability of mortgages, you can also defer capital gains taxes forever by never actually having to sell your real estate. You can get money out simply by taking out another mortgage (and, of course, deduct the interest on that new mortgage as well). This also makes it easier for investors to add to their real estate holdings over time. Rising population and rising wealth.Population growth means more people want homes. And when people are wealthier, they prefer bigger, more expensive homes — and can afford them. Land Scarcity. In desert cities like Tucson, Arizona and even Palm Springs, California, when developers need more land to build more houses they simply fence in a bit more desert. You can’t do that in cities like New York, San Francisco or London. Similarly, it’s pretty tough to create more beach front property in places like Surfer’s Paradise, Miami and Waikiki. Obviously, the rise in the price of real estate in places where land is abundant and cheap significantly lags the increase in the value of properties in places where land is scarce. All good reasons for investing in real estate. Indeed, you’re probably quite familiar with all of them even if you’ve never actually purchased a property in your life. But, as I said, I think the real reason there are so many real estate millionaires is somethingcompletely different. By its very nature, real estate is a long term investment. It takes time, sometimes months, to buy or sell a property: there are no day traders in the real estate market. Of all investment markets — with the probable exception of privately-owned businesses — real estate has the longest holding period and the lowest turnover. In addition, a real estate investor has a much greater chance of surviving a recession or market crash with his holdings intact than a stock market commodity investor. Firstly, as long as he has enough income (whether from salary or rents) to continue paying the mortgage, the real estate investor never gets a margin call. Secondly, real estate is hard to sell. In the stock market, all you have to do is call your broker and moments later you’re out. This is exactly what thousands of stock market investors do in a market crash: they panic, and sell like lemmings — at a loss. The result: he has not been frightened away from the market; and he is still holding his properties when real estate inevitably turns hot again…to the long term benefit of his net worth. To put it in another way: while there are many ways you can go broke investing in real estate, day trading isn’t one of them. Finally, the real estate millionaire has benefited in full from what some people call “the Eight Wonder of the World”: compound interest. By holding his properties for decades, he sees his initial investment — a deposit of 10% to 20% of the purchase price — compound into 100% ownership of a property that is far more valuable. Consider my friends in Sydney. They put down around $20,000 (20% of the purchase price) and 28 years later netted over $2 million! That’s an annual compounded return of 17.9%. Okay, over that time they had to pay back the mortgage, plus interest, plus all the property taxes and maintenance costs that every home owner must pay. But had they rented a similar property, their total expenditure would have been much, much more. And considering they borrowed the deposit from their parents, their actual return on investment was infinite. Certainly, investors like Warren Buffett and George Soros could have taken that $20,000 and done a lot better than 17.9% a year. But very few professional investors, let alone the average man on the street, do anywhere near that well over any 28-year period you care to name. There are no daily, hourly, or even monthly price quotes in the real estate market to send your emotions on a roller coaster ride. In fact, if your mind is focused on the cash flow from your properties, you probably almost never worry too much about their market value. So emotions like fear, greed, and panic — which have ruined many a stock market investor or commodity trader — are far less likely to trip up the property owner. Not only does the real estate investor have a much more peaceful investment life, he also avoids without tryingmany of the mistakes and crippling losses that other investors regularly suffer. Being the market where it’s easiest to “protect yourself from yourself,” the real estate investor can far more easily adopt the winning investment habits that separate the investment sheep from the investment goats. And that’s the main reason why there are so many real estate millionaires.